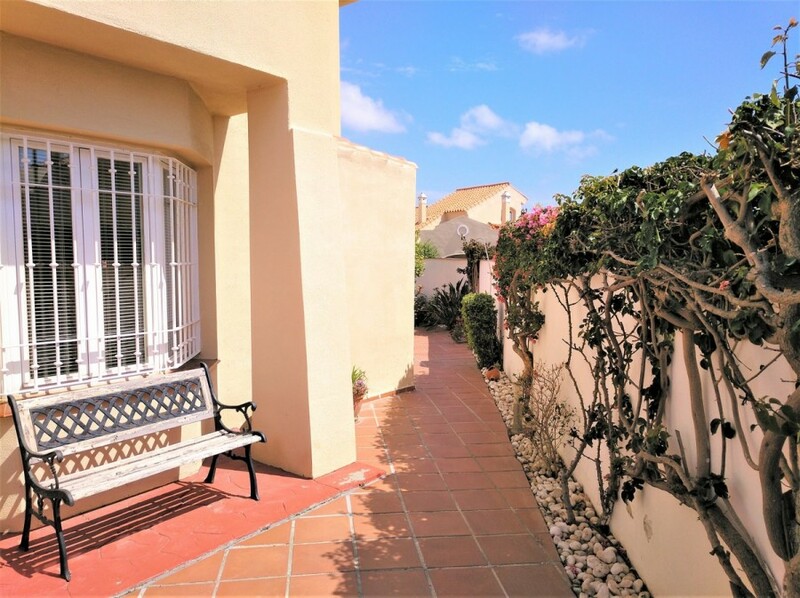 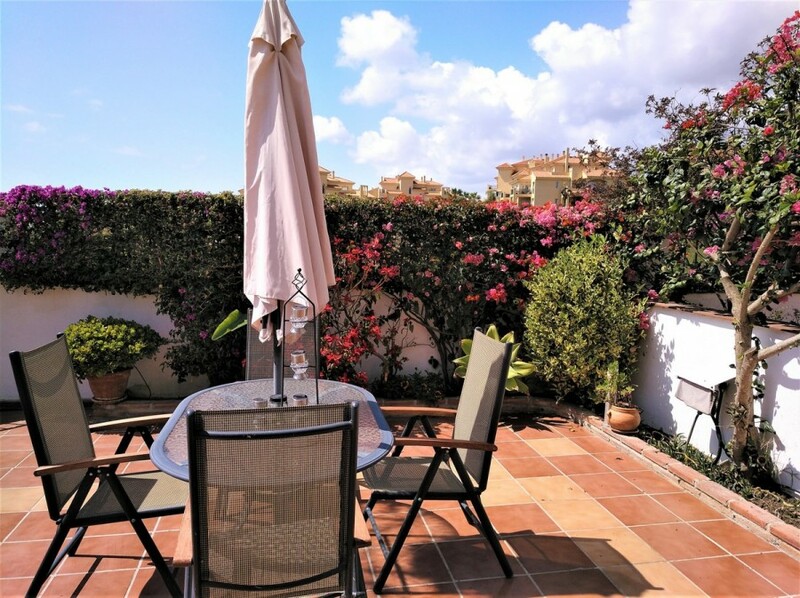 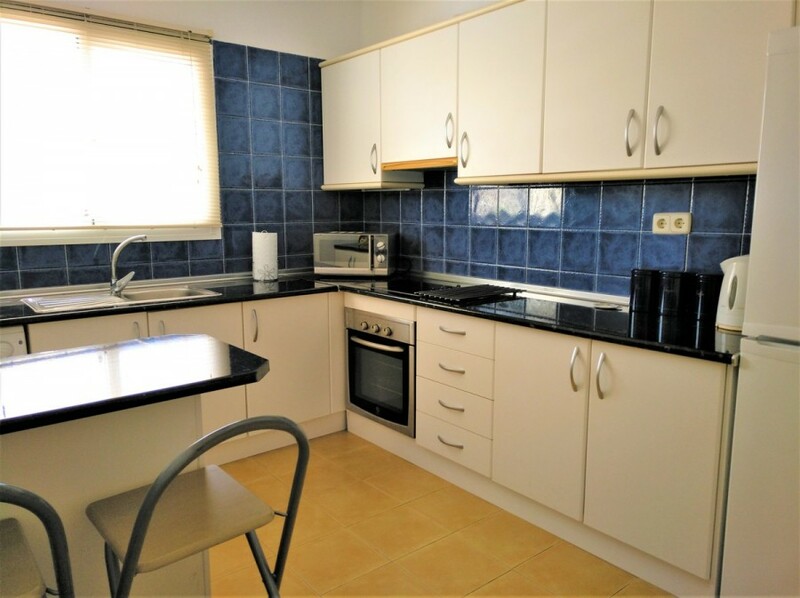 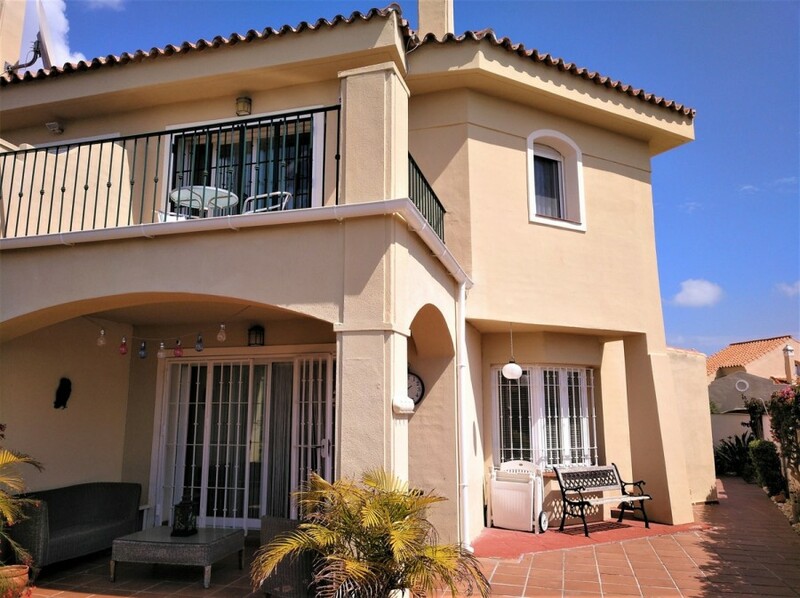 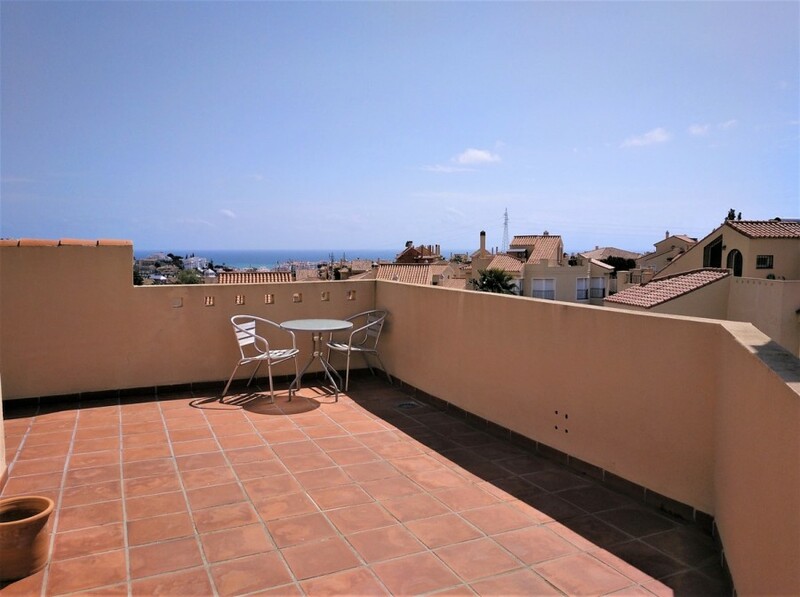 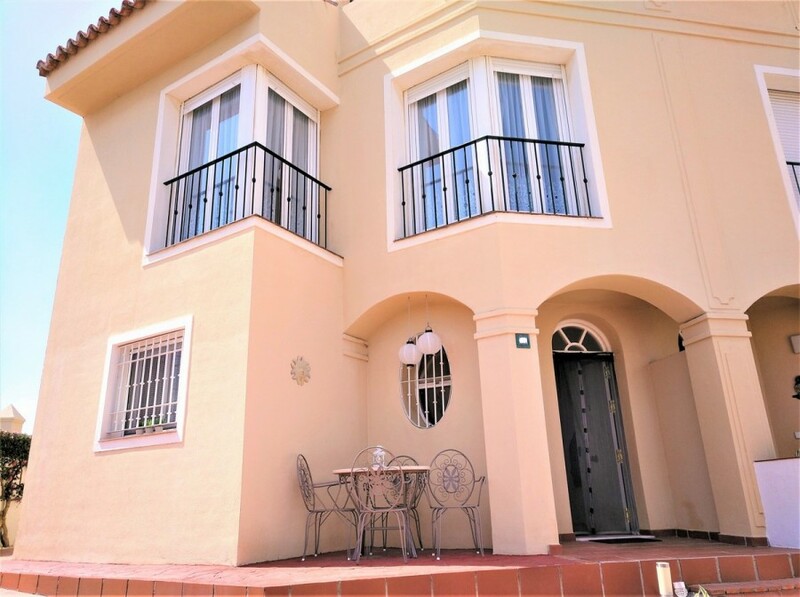 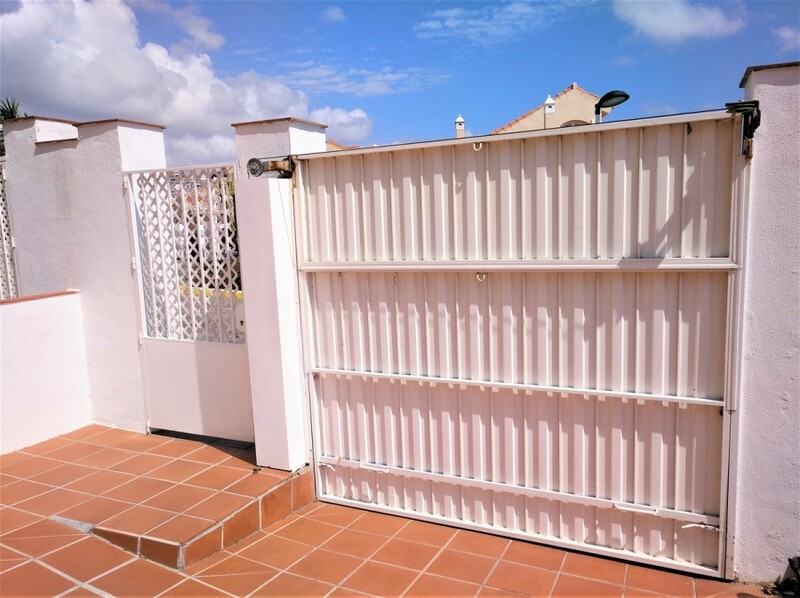 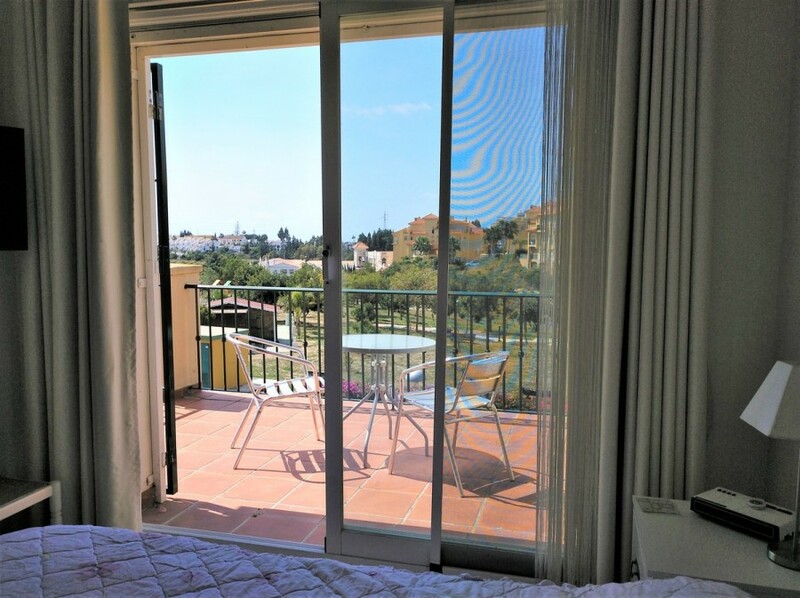 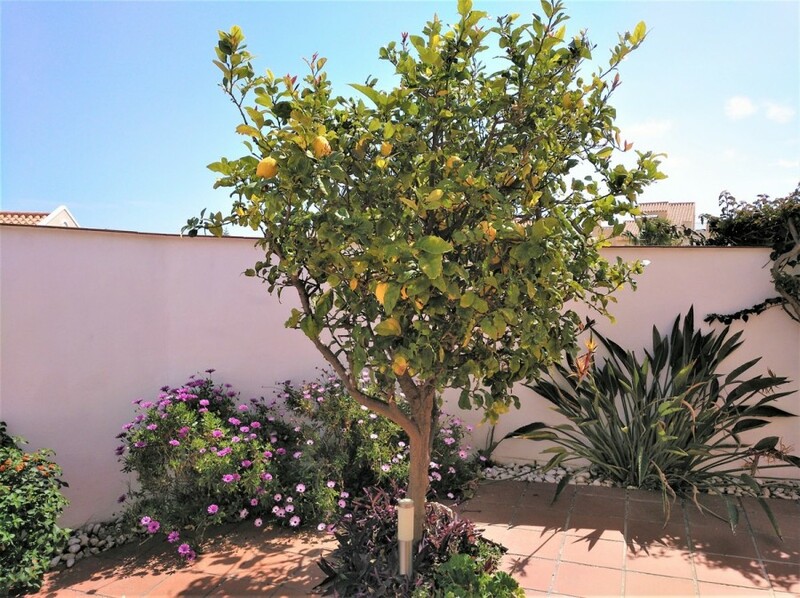 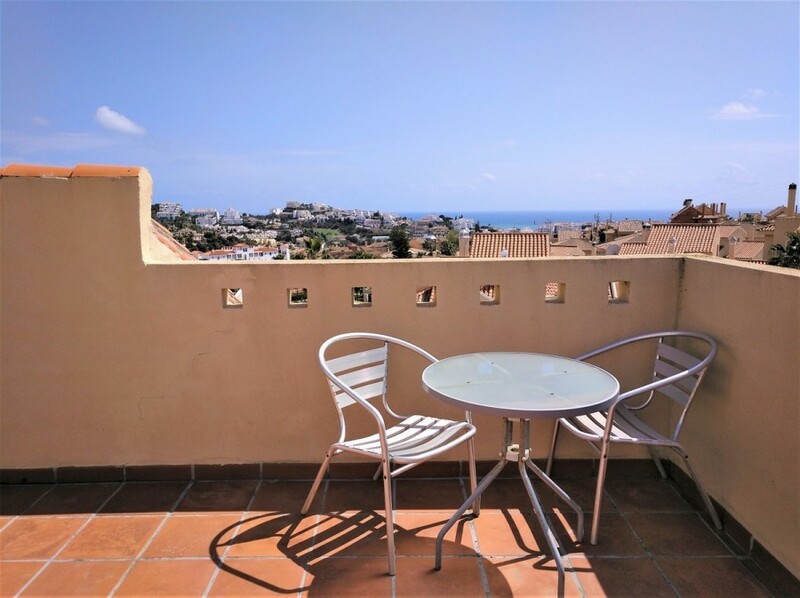 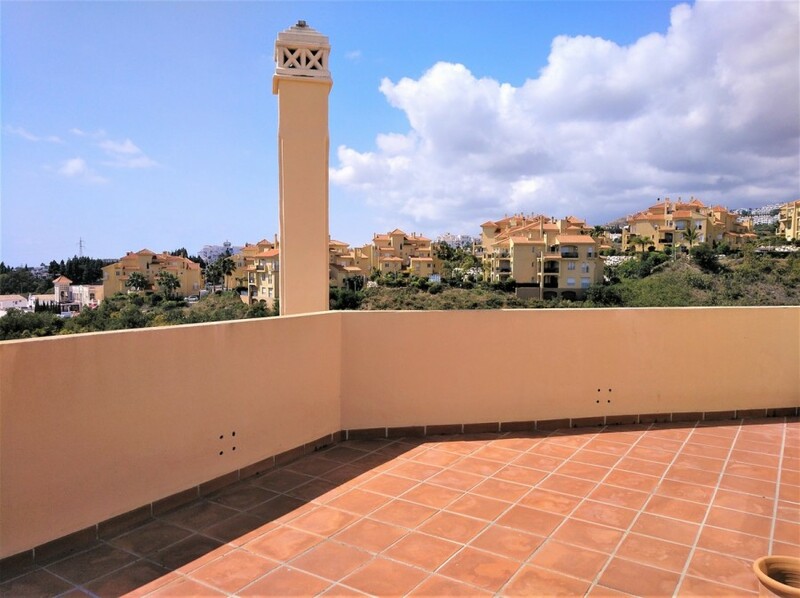 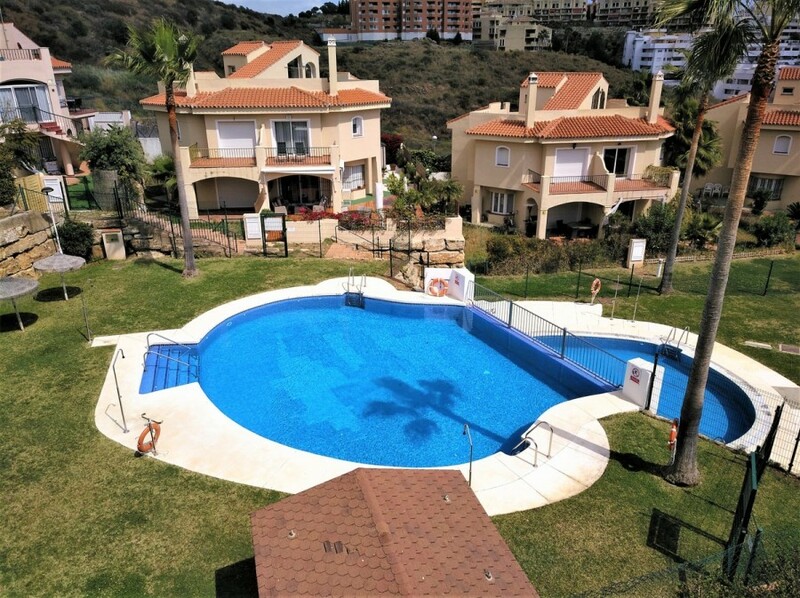 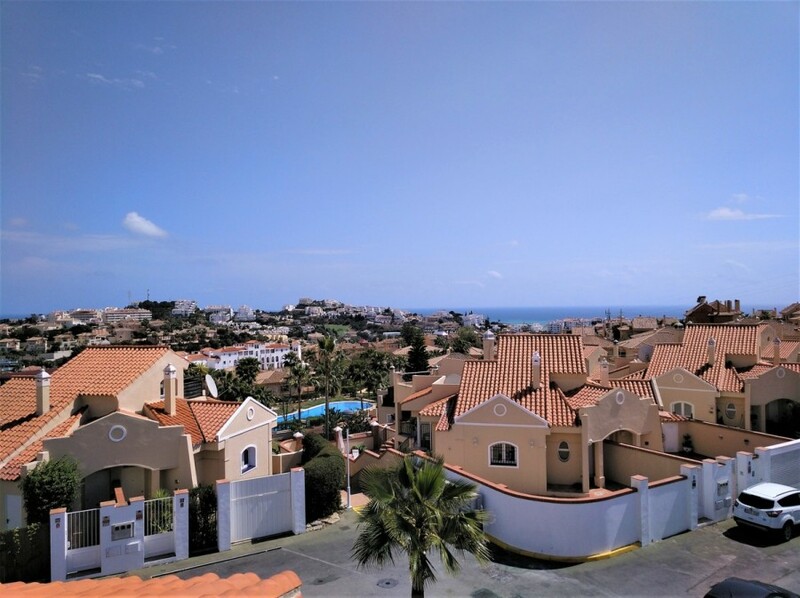 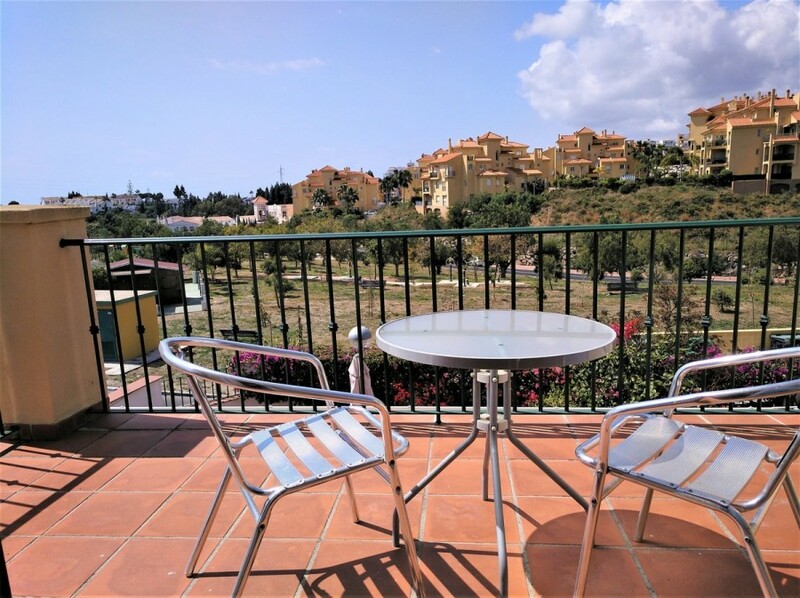 FANTASTIC SEMI-DETACHED HOUSE WITH PANORAMIC VIEWS TO THE SEA LOCATED IN RIVIERA DEL SOL. 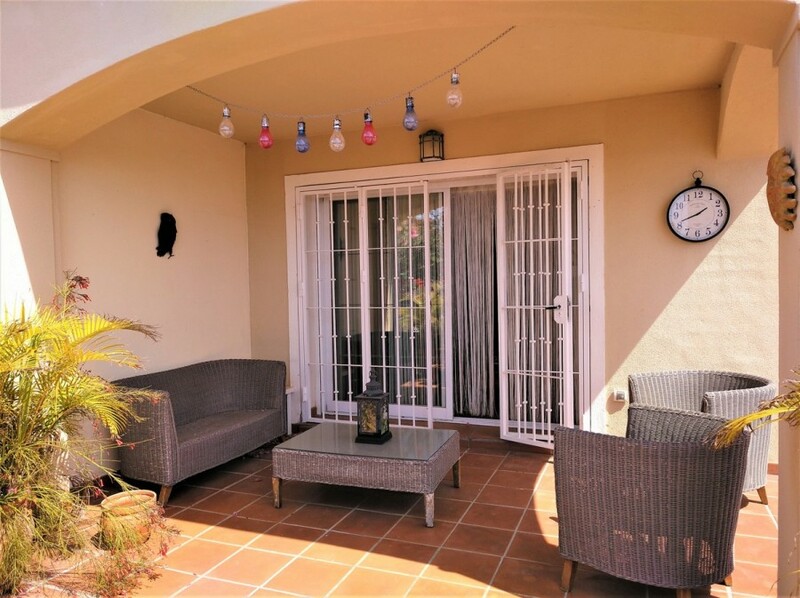 Situated in a quiet and safe gated urbanization, this luminous semi-detached house is tastefully decorated and enjoys panoramic views of the area due to its magnificent south-south-west orientation. 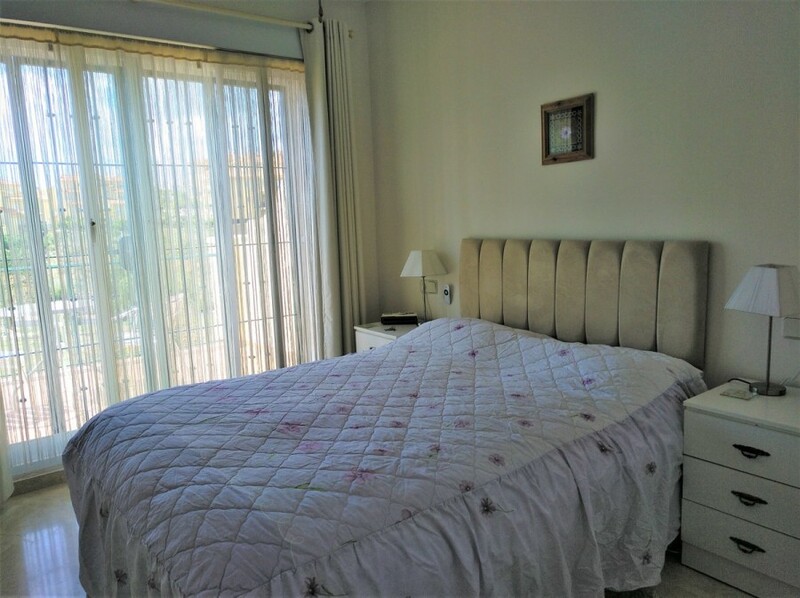 Divided into three floors, it has a build size of 132 m2, various terraces of 45 m2 and 242 m2 of garden. 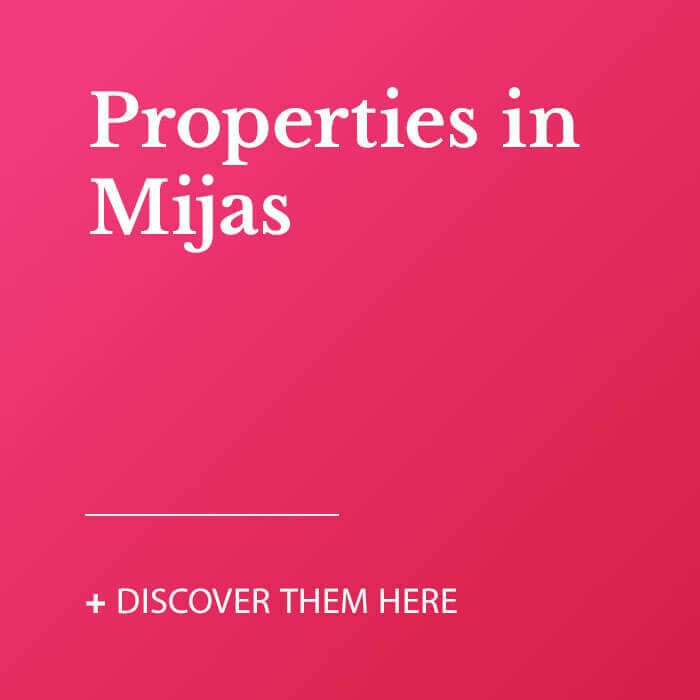 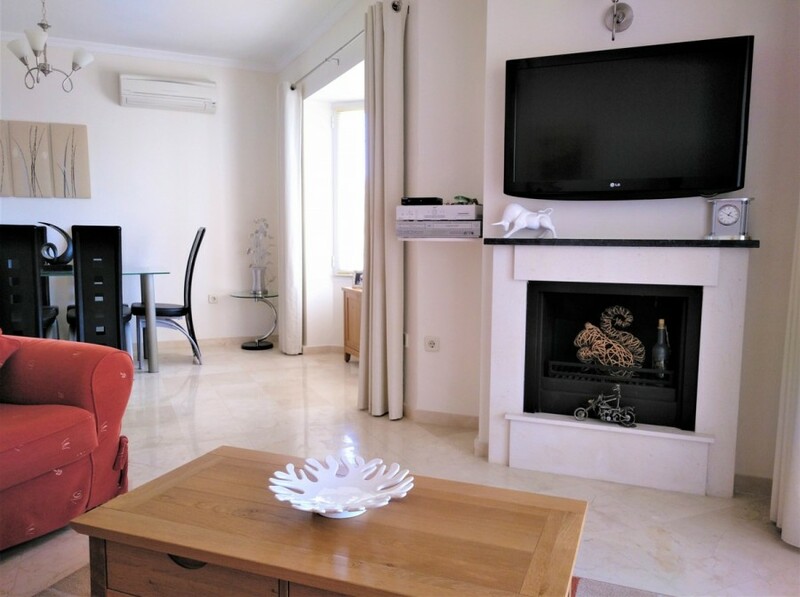 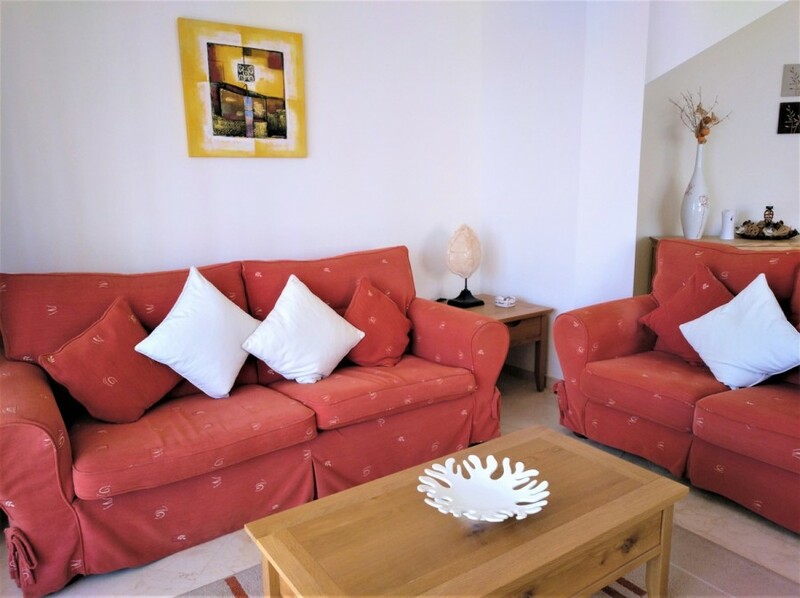 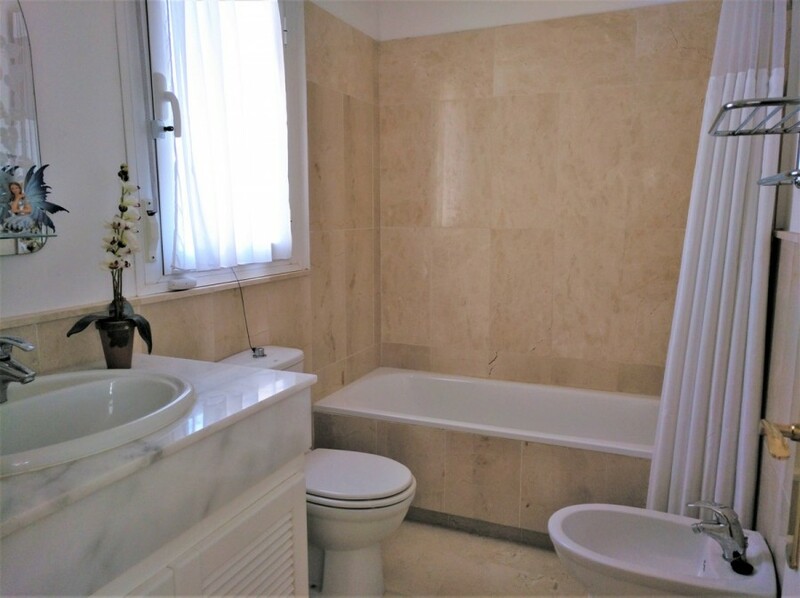 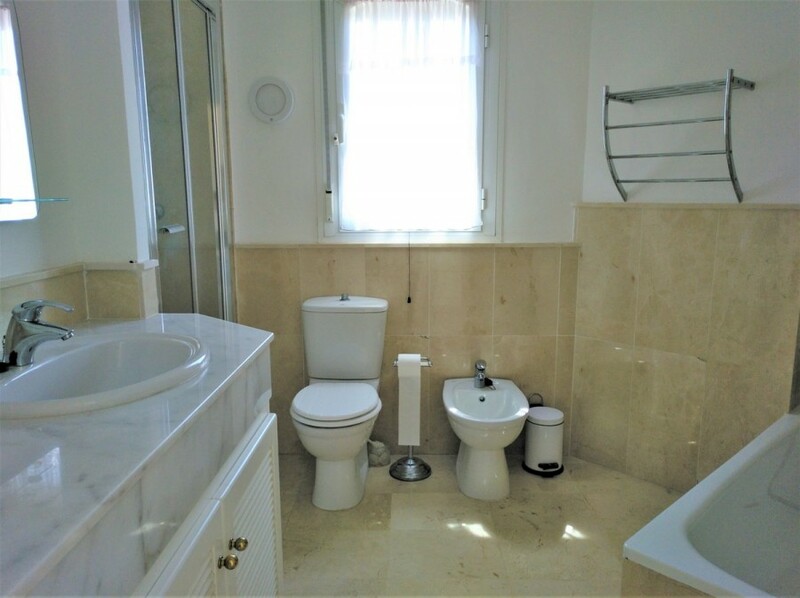 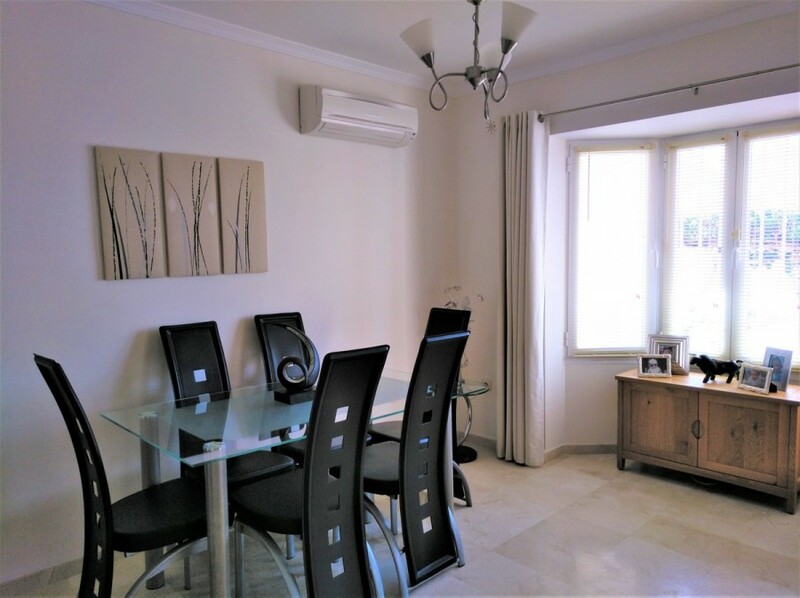 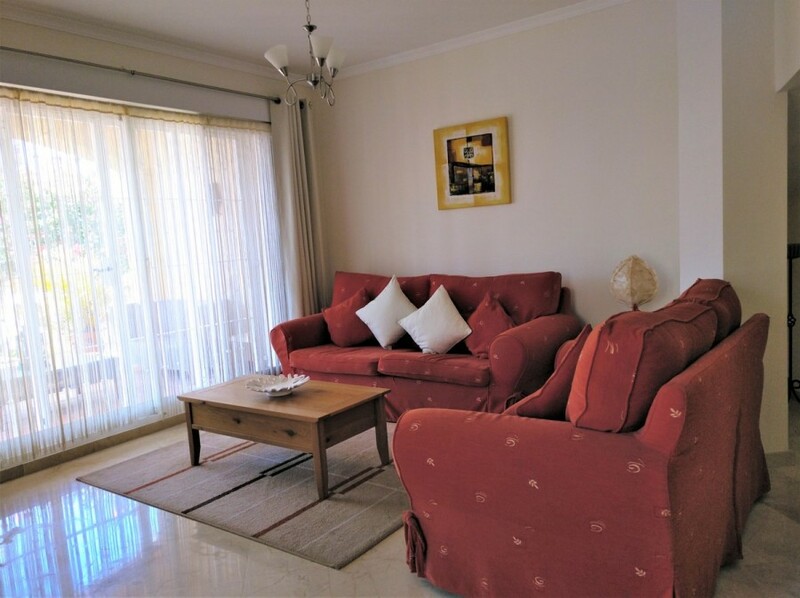 On the ground floor is an entrance hall, guest toilet, nice and modern fully equipped kitchen, spacious living/dining room with fireplace and access to the terrace and garden. 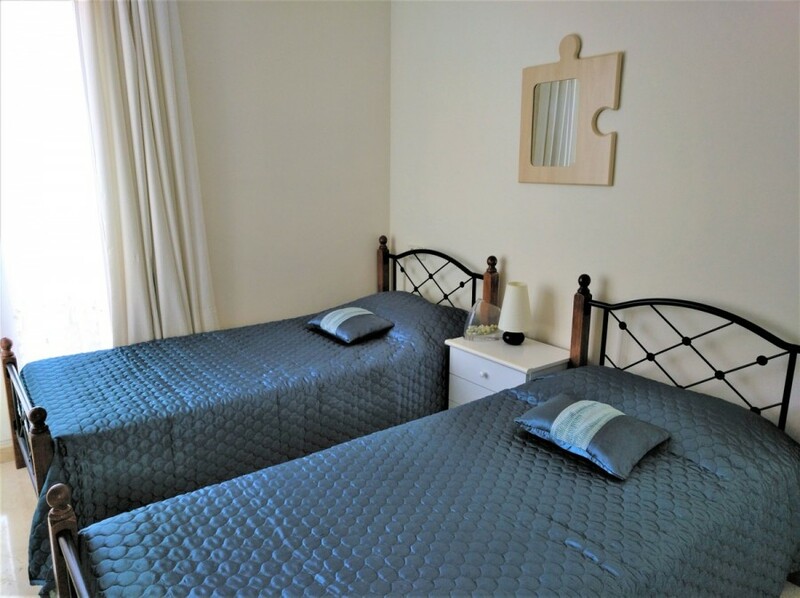 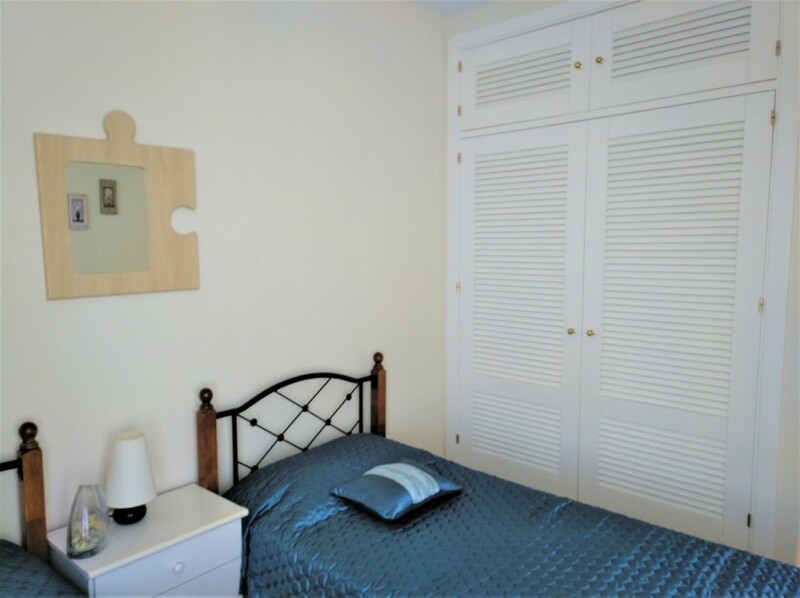 On the first floor are 3 spacious double bedrooms with fitted wardrobes and 2 bathrooms. 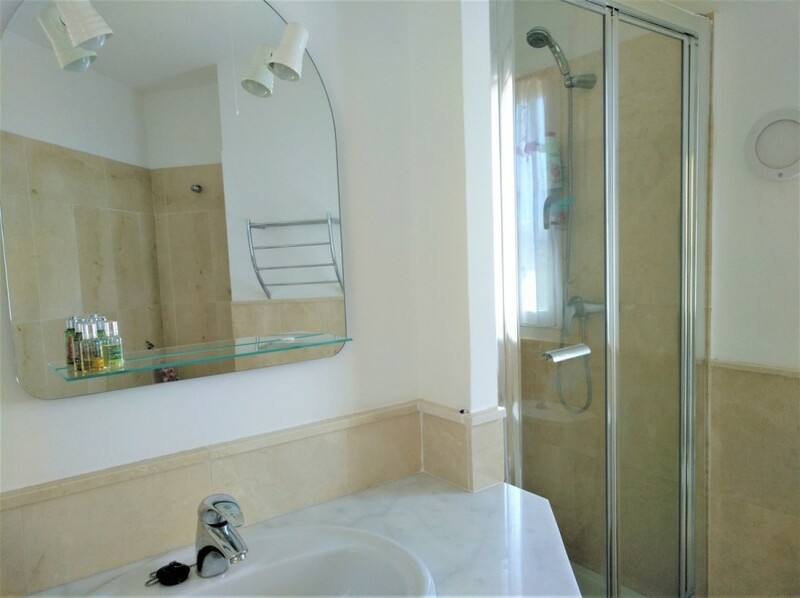 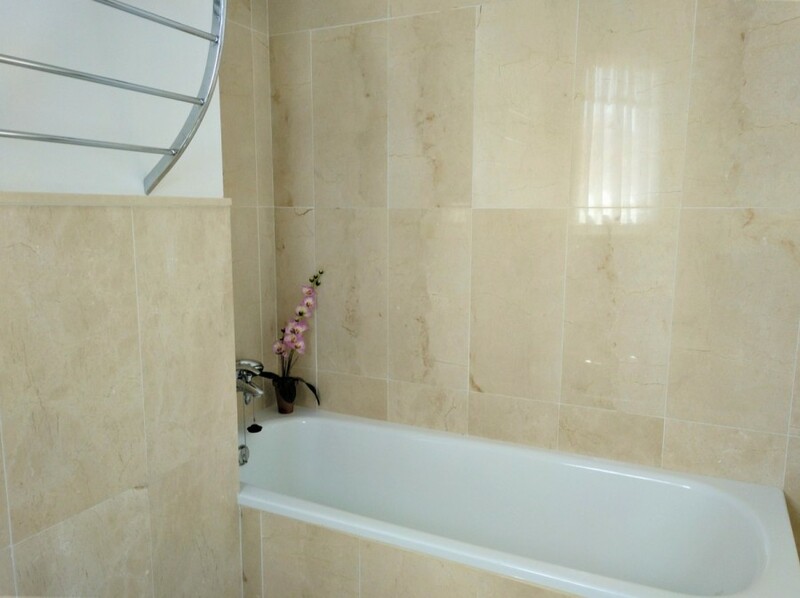 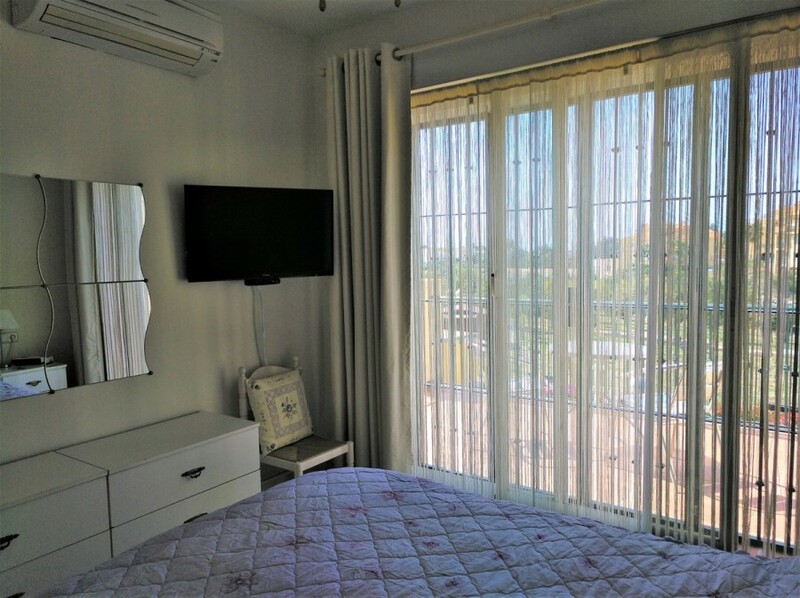 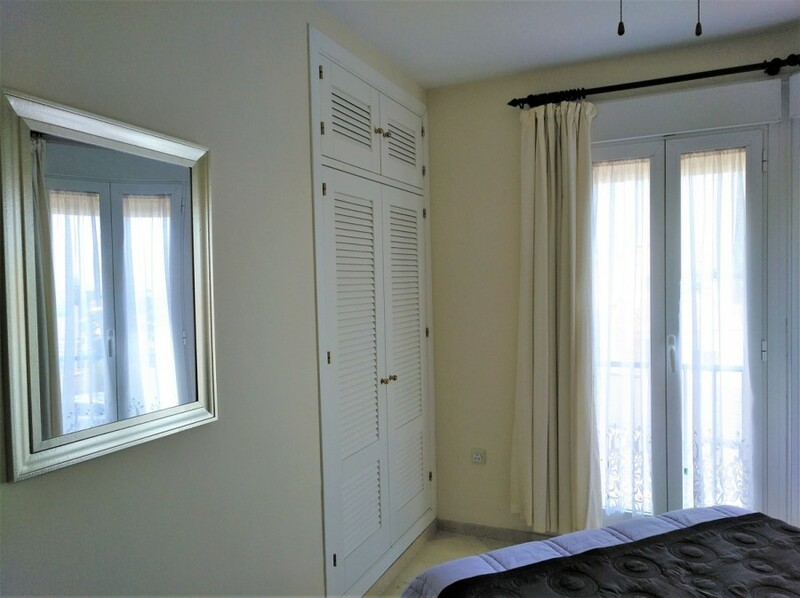 The master bedroom has an ensuite bathroom with bath and separate shower and access to a spacious terrace. 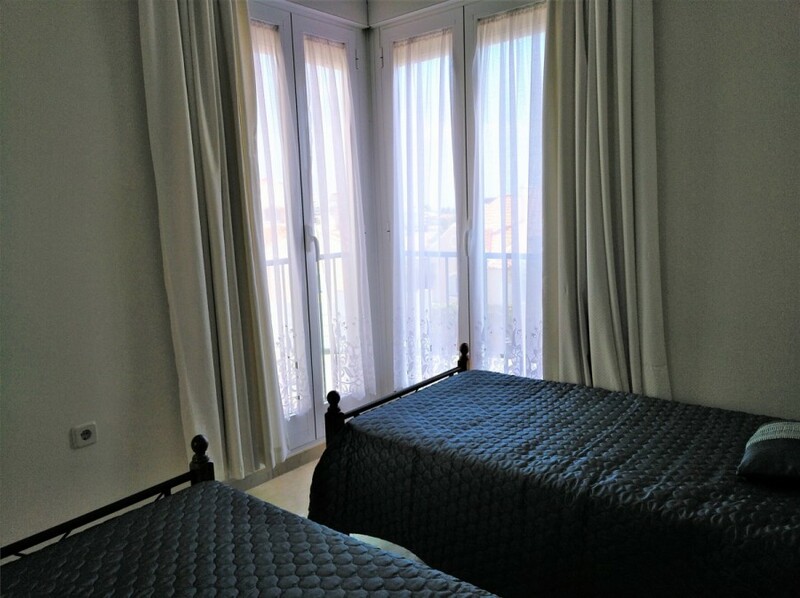 There are sea views from all of the bedrooms. 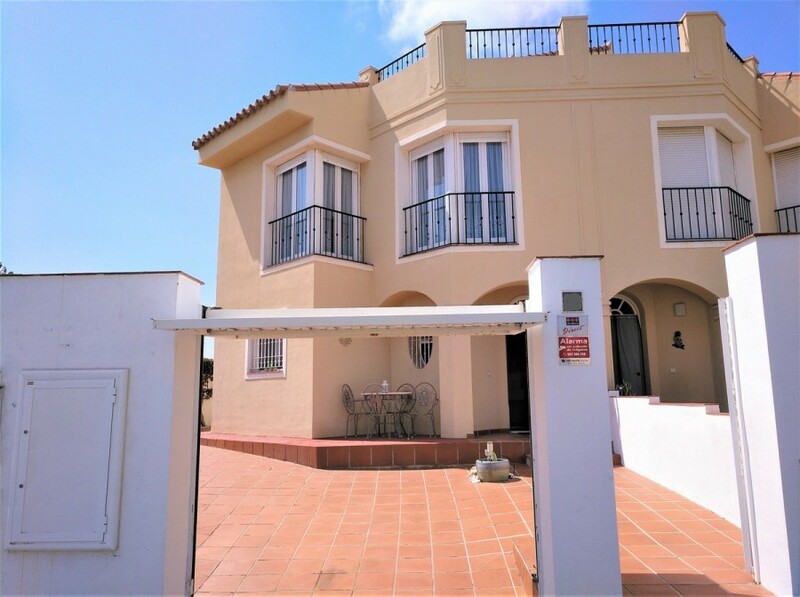 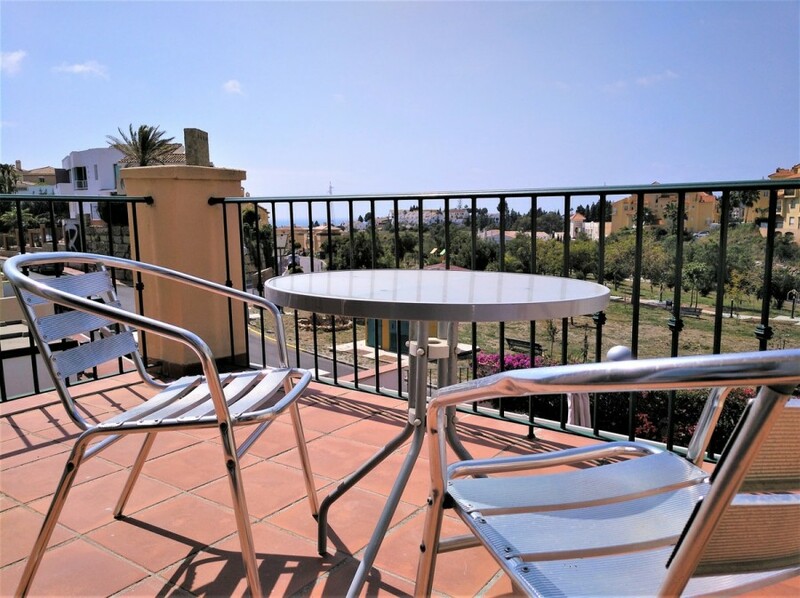 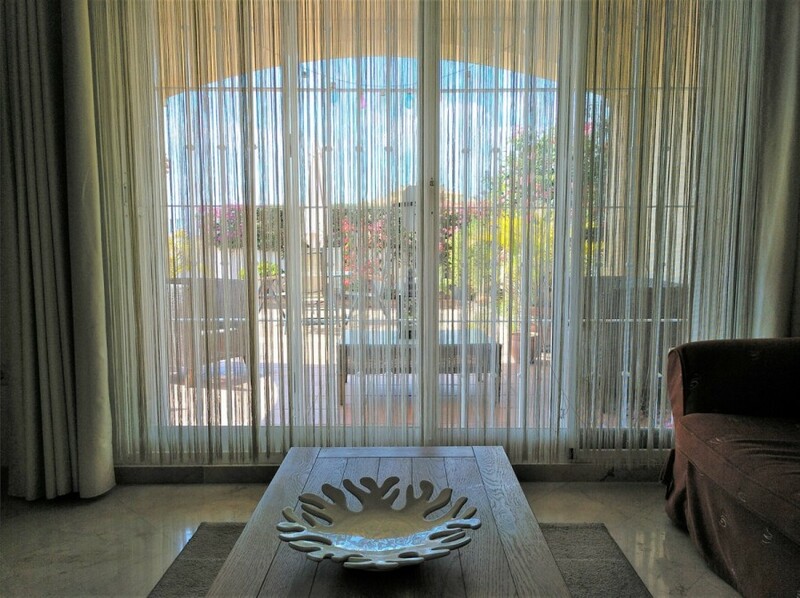 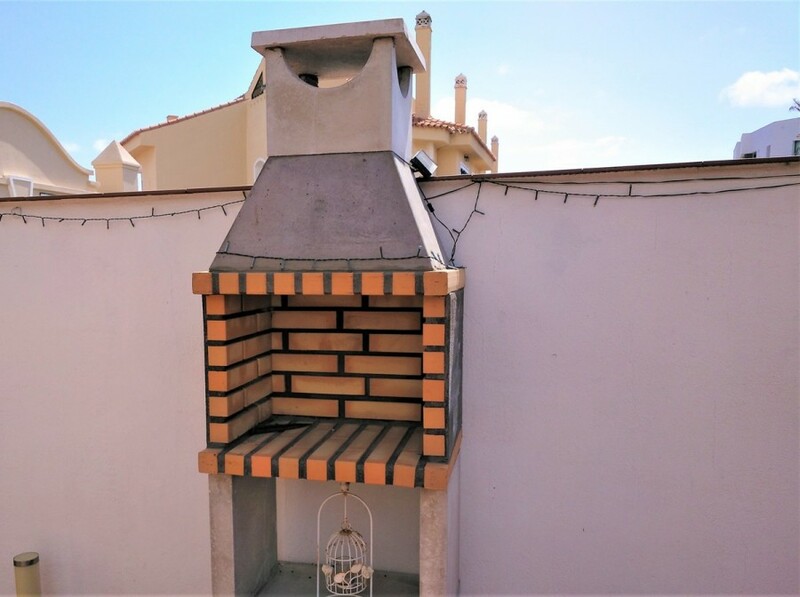 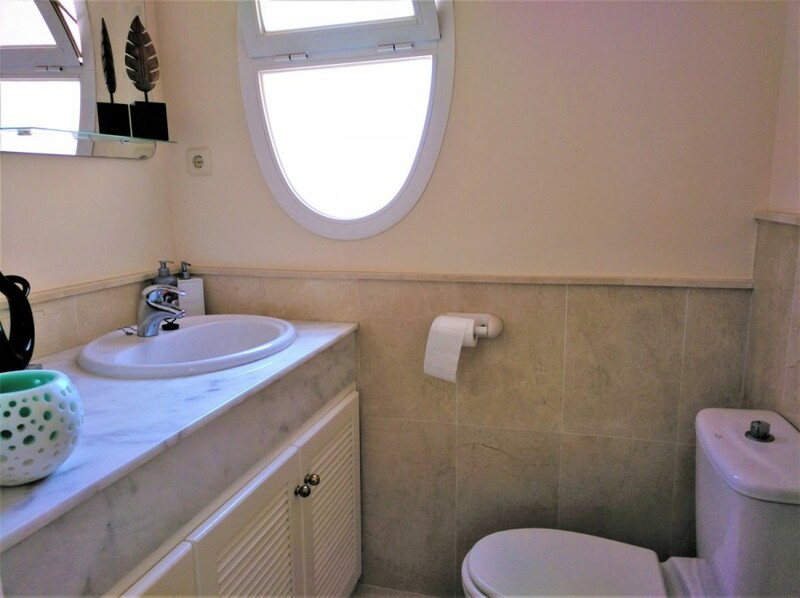 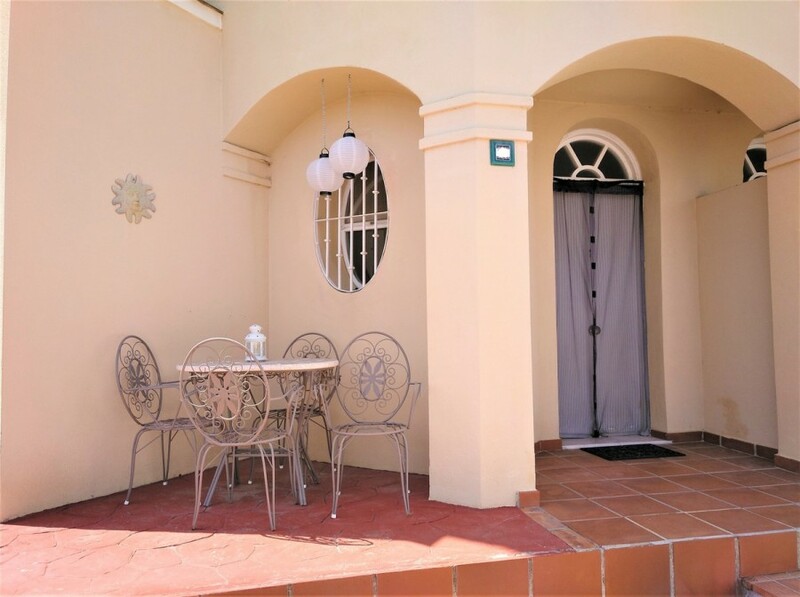 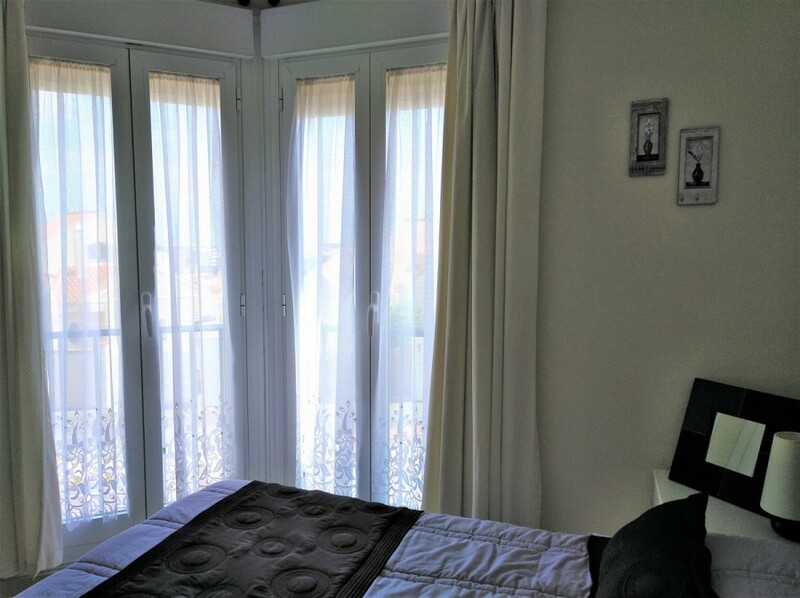 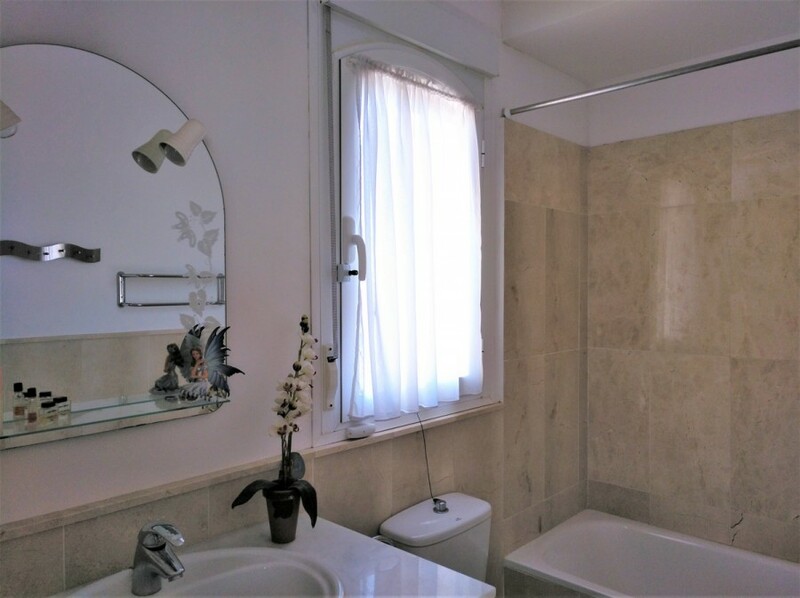 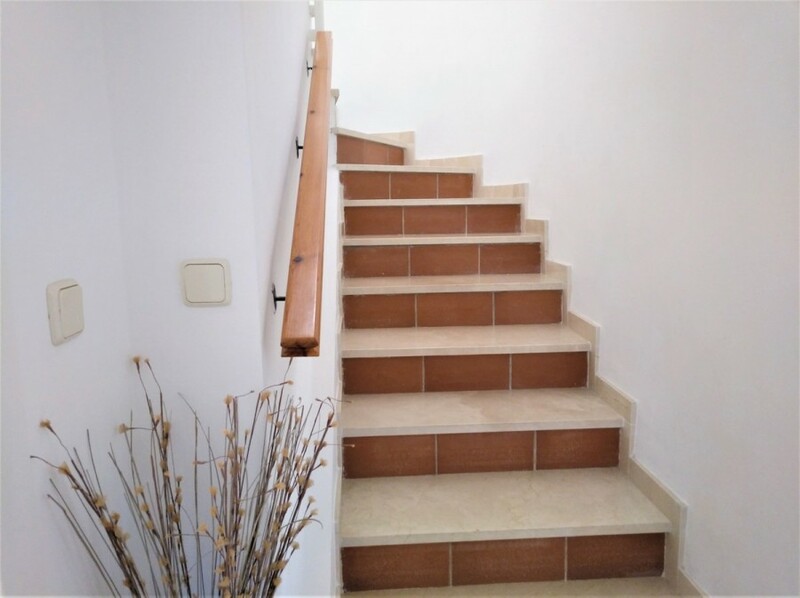 From the first floor are stairs leading to the upper floor where there is a spacious solarium with lots of privacy and lovely panoramic views. 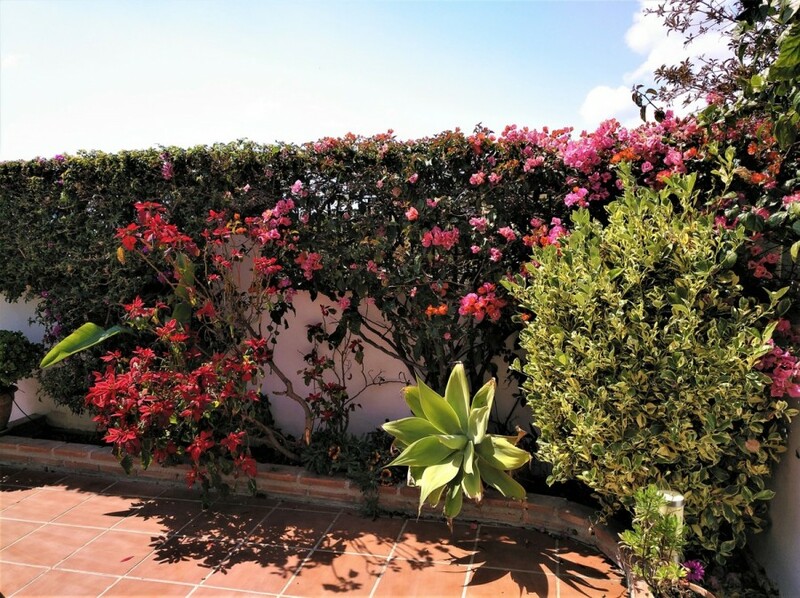 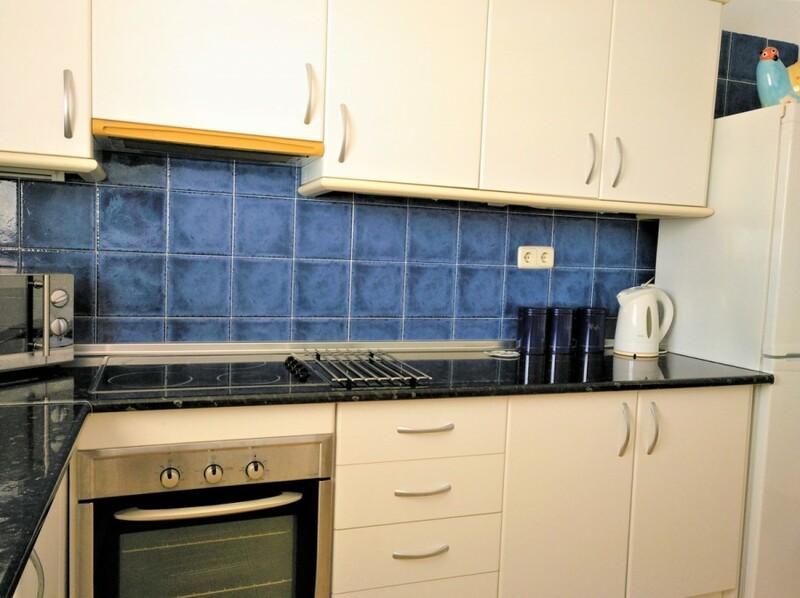 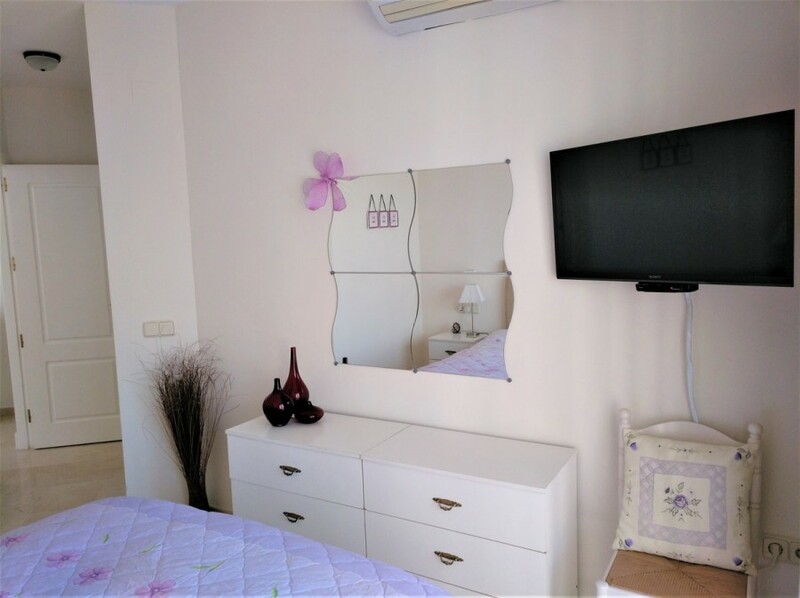 The property is situated on a corner plot and has a good-sized easily maintained garden of 242 m2. 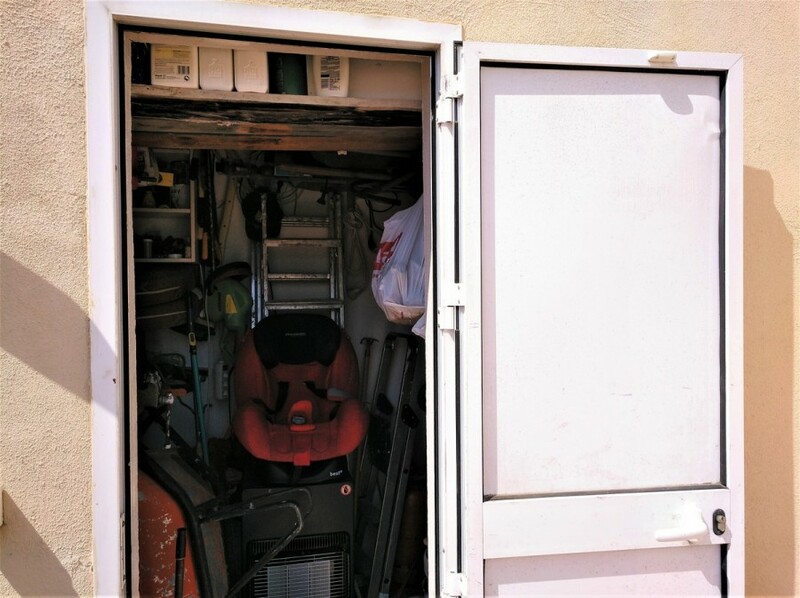 At the side of the property there is also a large brick-built workshop/storeroom. 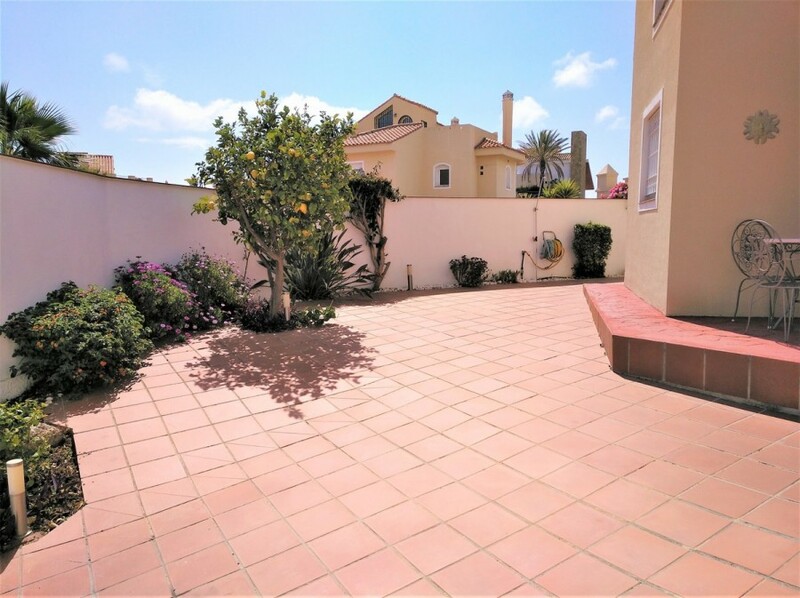 There is room to park 2 vehicles on the property in addition to communal parking spaces in front of the property. 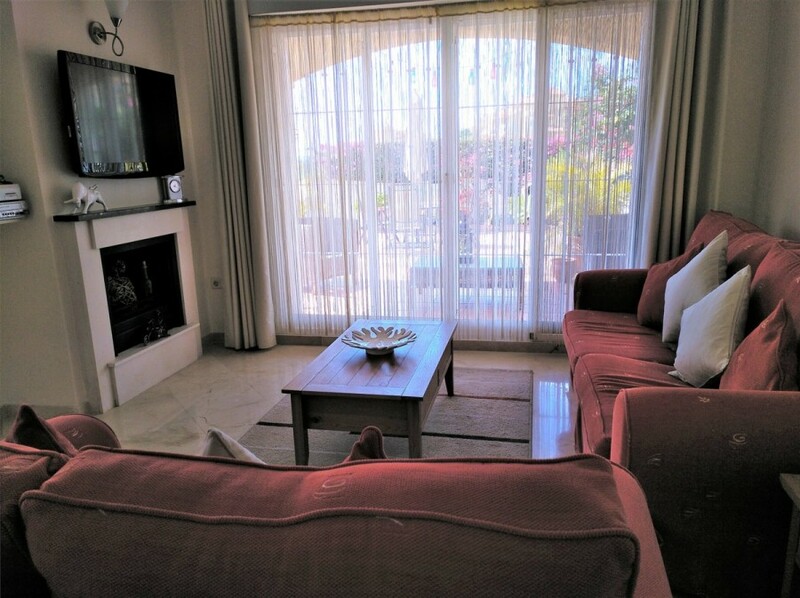 The house is in excellent condition and is built with very good materials and includes marble flooring, double glazing, alarm system, safe, security door, hot & cold air-conditioning in the lounge and master bedroom, fireplace, brick-built barbecue, electric shutters in the lounge and master bedroom, mosquito screens, lighting in the garden and fibre optic internet. 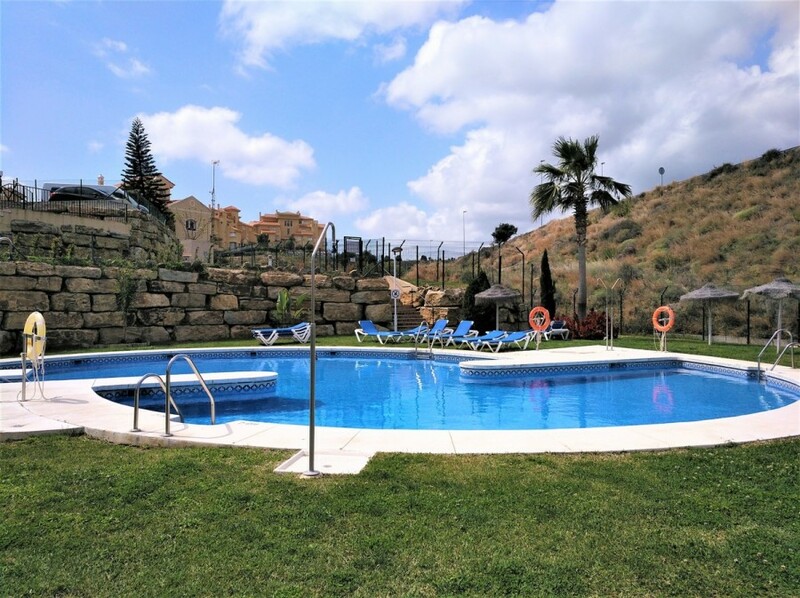 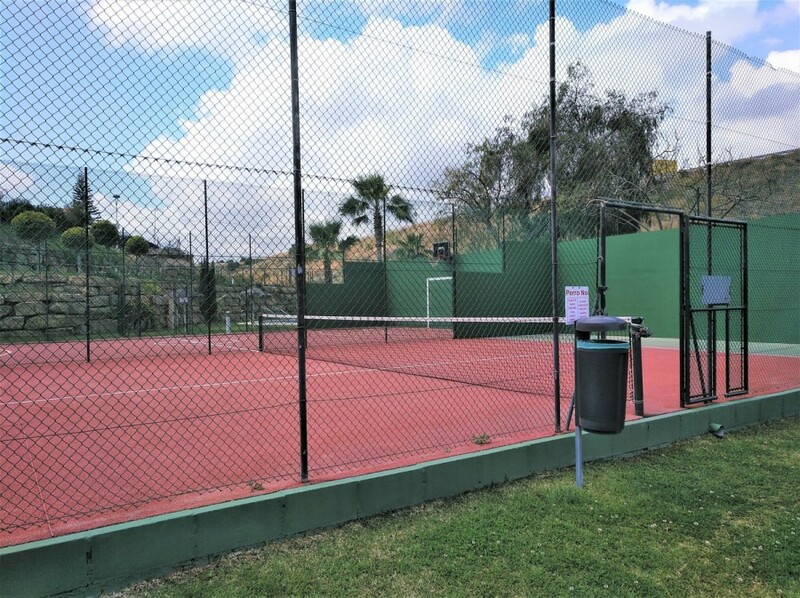 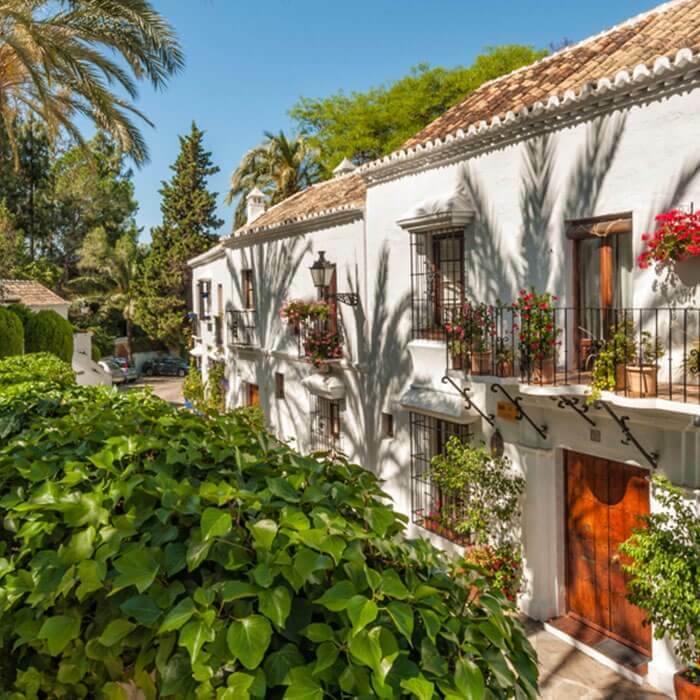 The urbanization has lovely well-maintained communal gardens, a small river with waterfall, 3 swimming pools for adults and 3 for children and a paddle tennis court. 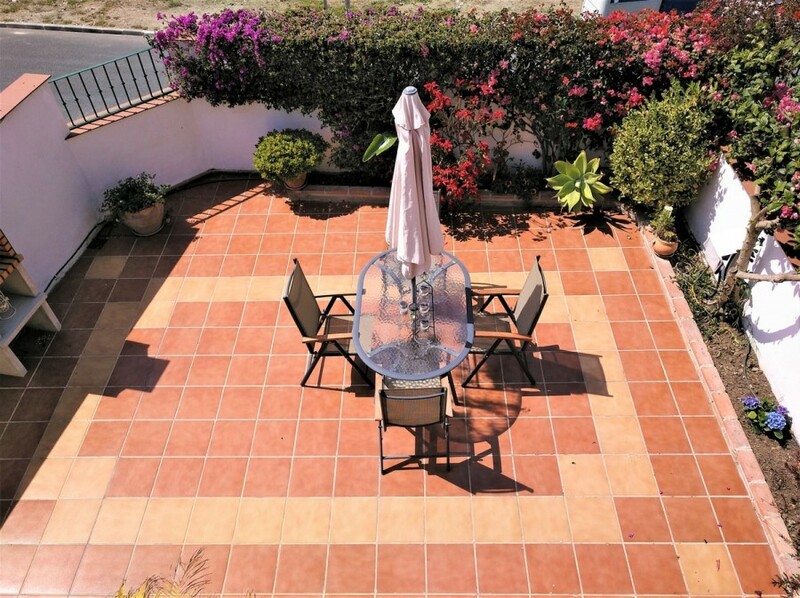 Ideal to live in all year round or as a holiday home. 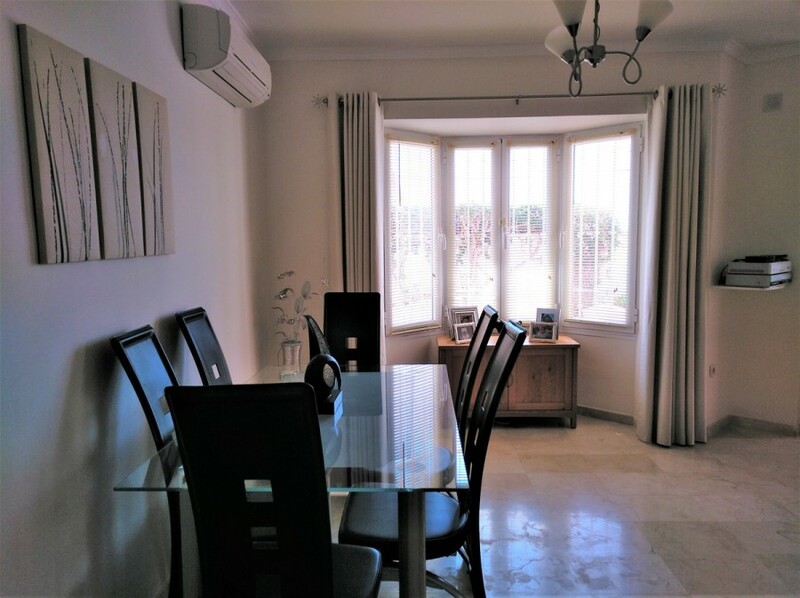 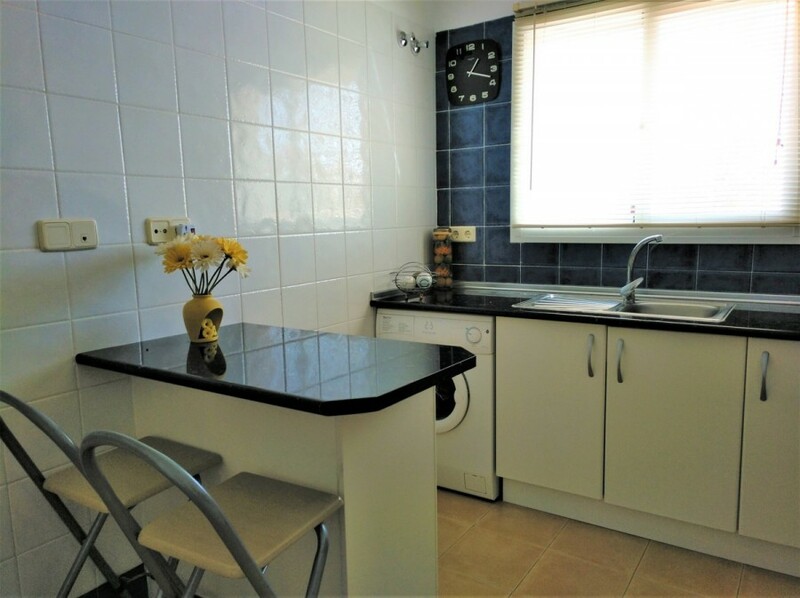 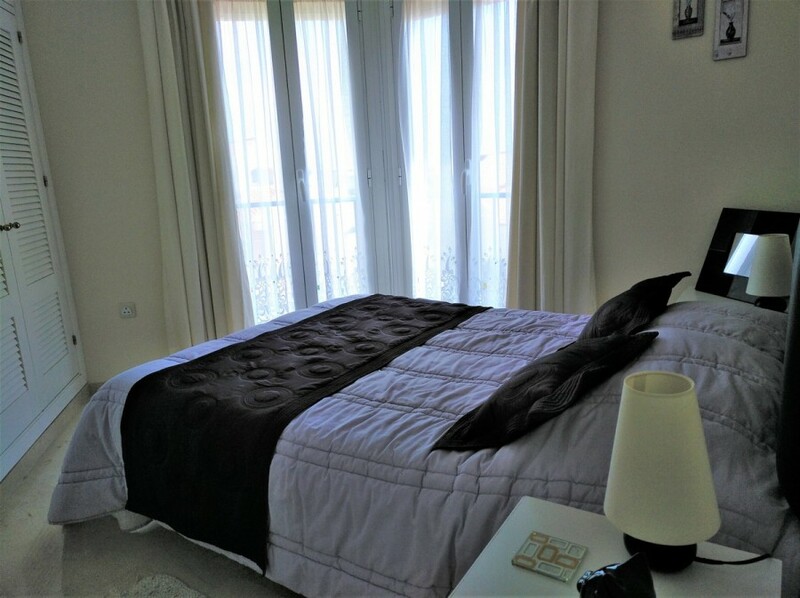 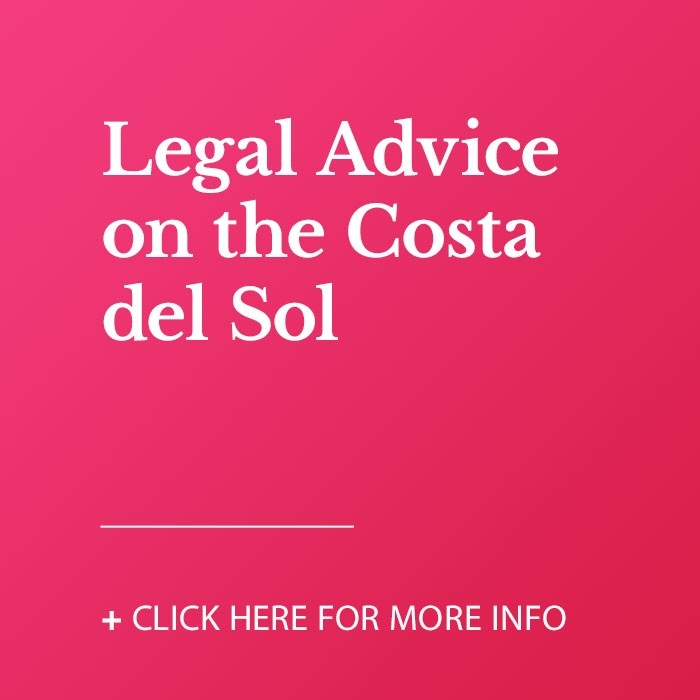 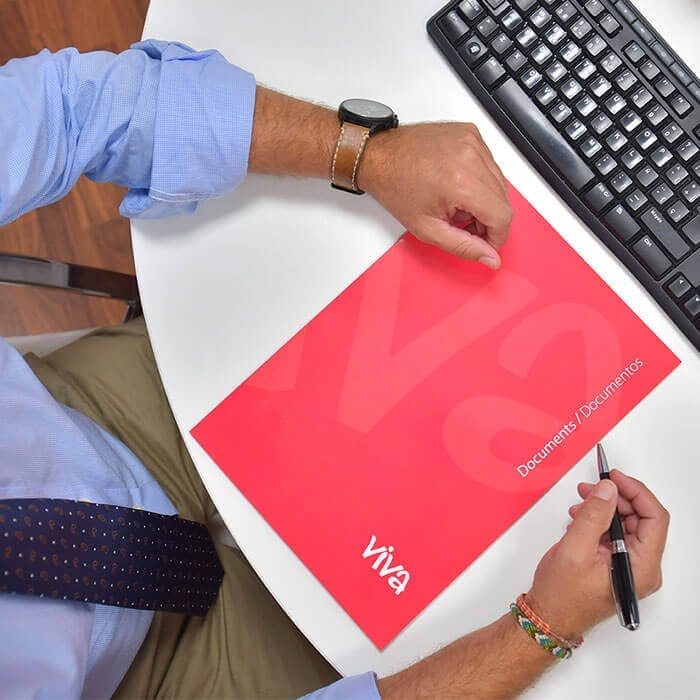 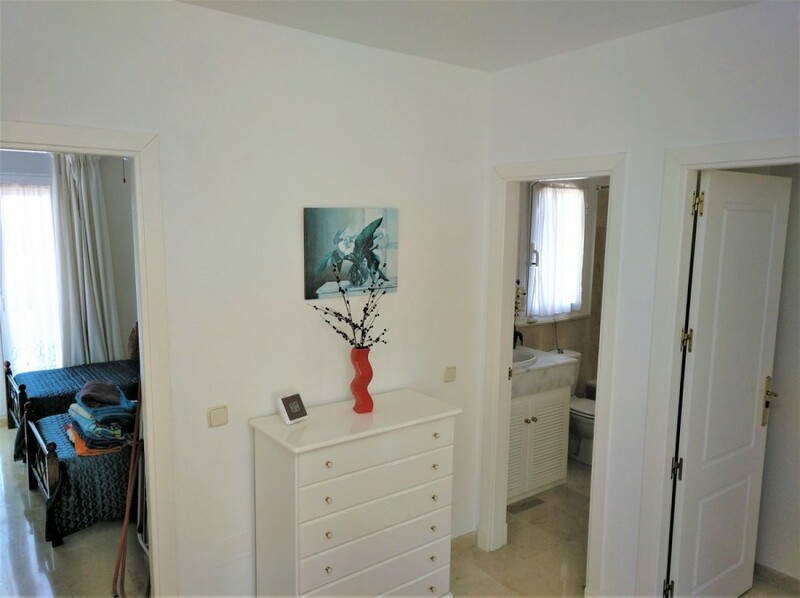 Good connection with the A7 and the AP7 motorway and just a 2 minute drive to the beach and all amenities. 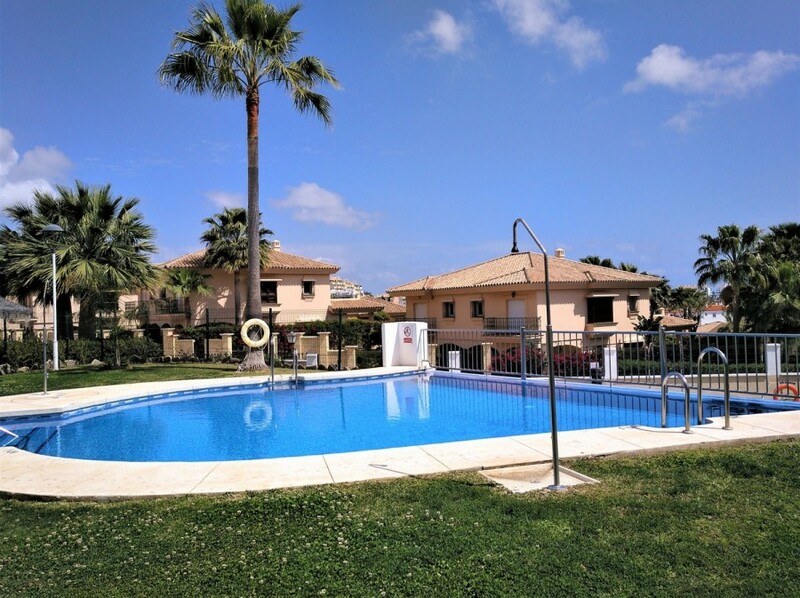 Close to several golf courses in the surrounding area.